Amazingly, for some people, even the slightest sip from a glass of whisky can transport them to the rugged shores of Scotland's islands. It's like aromatic magic. 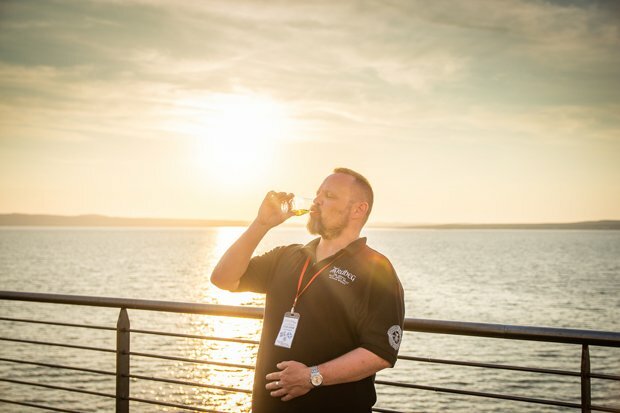 Be it the smoke-laden drams from Islay or the surprisingly soft nature of Orkney's Scapa, over the years the islands have produced some of Scotland's most storied and well-known whiskies. During the past few decades though, the landscape has changed. New distillers have set-up. New whiskies are being made and fresh chapters are being written. In 1993 the Isle of Arran Distillery was the first of these new distilleries and created the model for what many others would set out to be. Although you could visit distilleries and enjoy watching the whisky-making process before this, Arran was one of the first to put the visitor front and centre. It wanted to attract visitors rather than seeing them as a pleasant nuisance. And it's certainly worked too. The distillery has been such a success that the company have recently built a second one on the island to simply keep up with demand. The Lagg distillery will be opening in the spring of 2019. Where Arran led, others have happily followed. Over on Islay (Scotland's true powerhouse of peated whiskies), the first new distillery in over a century started production back in 2005. Kilchoman, founded by Anthony Wills and his family, may not be the biggest, but their focus on provenance has led to them quickly becoming an important part of the Islay whisky fabric. They're no longer the new kids on the block either; this year Islay's ninth distillery will open. Ardnahoe is a passion project from well-known whisky bottler Hunter Laing. Although this Glasgow-based family has been involved with the whisky industry since 1949, this is their debut distillery. Islay may turn heads when it comes to whisky, but the real revolution is happening on Skye and the Outer Hebrides. For generations, Skye was home to just one distillery. Talisker, with its bold uncompromising character, bore the standard for the island alone until the opening of Torabhaig in 2017. Although their whisky won't be ready until 2020, they're already welcoming visitors through the doors to show how it's made. Further west in the Outer Hebrides, there are two newer distilleries making their name. The first to open was Abhainn Dearg in 2008 on Lewis. The island had, surprisingly, not hosted a (legal) distillery since 1840, so when Mark Tayburn first fired up his stills it heralded a little piece of history. The other is on Harris. Right now the distillery is possibly better known for its gin, but the team are quietly maturing their whisky until they feel it's ready. Another distillery waiting for its first whisky is found on Raasay. 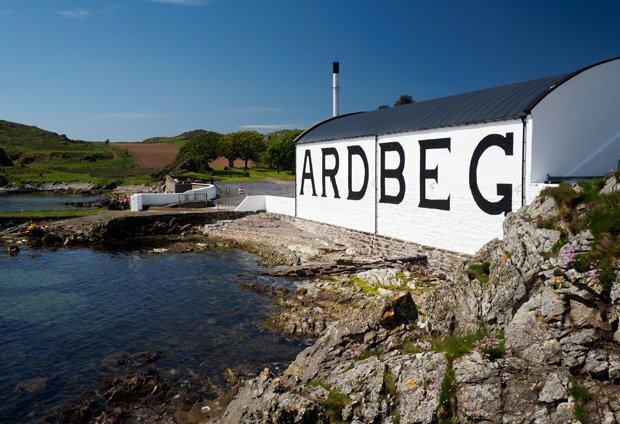 Founded by Alasdair Day and Bill Dobbie, the new distillery not only heeded the 'visitor first' model set by Arran almost two decades earlier but enhanced it. The still house has one of the most breathtaking views of any in the country, looking out onto the rough-hewn landscape of neighbouring Skye. This isn't the only way Raasay stands out though. It may be the only working Scotch whisky distillery you can sleep in. Raasay offers six luxury rooms within the distillery which can be booked for an extra special stay. What better way to enjoy your tour of one of Scotland's island distilleries than to simply head upstairs to your very own room? Whisky made on the islands of Scotland has more history than perhaps anyone can tell. The long-established distillers set a tone that you'd expect, but the new whisky producers seem happy to accept the challenges facing them. They're doing new things and pushing new boundaries. It'll be interesting to see how their new chapters in whisky history turn out. There's been a whisky distillery overlooking the strait at Caol Ila since 1846, although the present building dates from 1974. The Caol Ila family of malts have a fresh, sea-salty tang that's a little less smoky and pungent than other Islay whiskies.